It was about 09:00 am when we started our journey toward Yakawlang district. 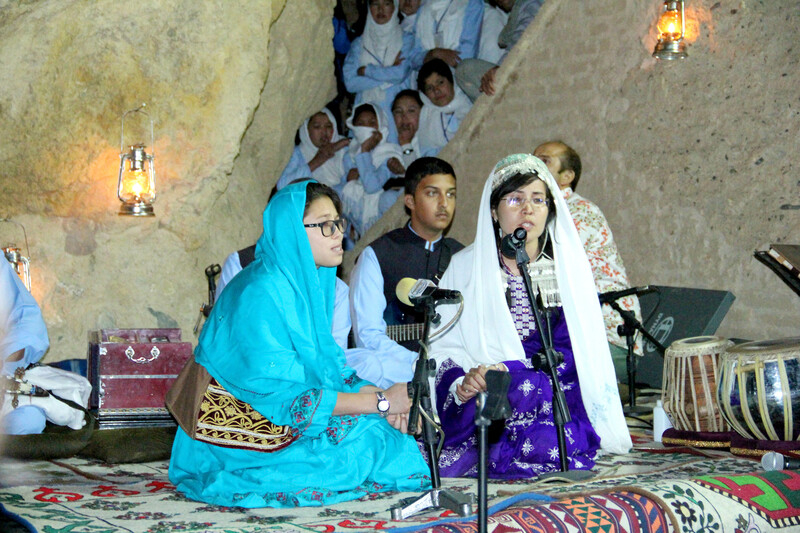 The purpose of this visit was to talk with artists, local musicians, and cultural figures in order to learn more about their culture, folkloric customs, traditions, local arts and handicraft production. Around 12 o’clock our car stopped in the Central Bazaar of Yakawlang district. 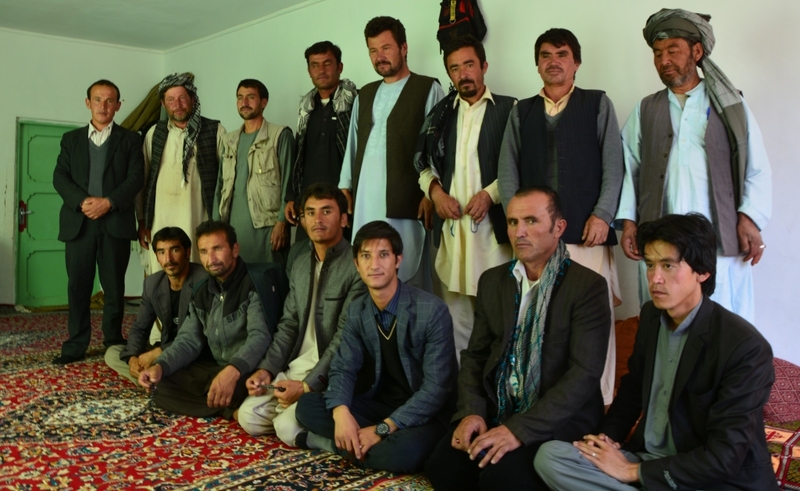 After lunch, we had organized an event in the house of Mohammad Fattah, a very famous calligrapher in Yakawlang district with social activists, cultural figures, artists and people who were interested in art, music and literature. Everyone welcomed us with smiles and warm greetings. 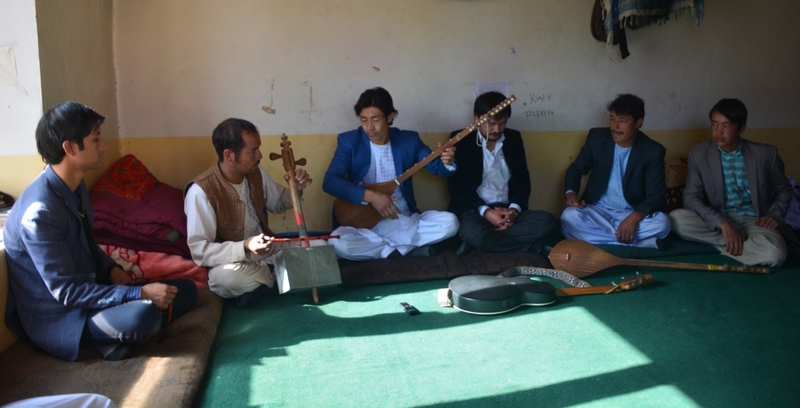 Their main concerns were related to the situation of art and culture in the rural area of Bamyan, problems and restrictions that limited their activities and suppressed their potential talents. For two and half hours our friendly dialogue continued on issues such as the importance of cultural dialogues and the significance of cultural exchanges on developing a progressive and glorious culture. On the next day, we left Yakawlang and travelled to Panjab district. 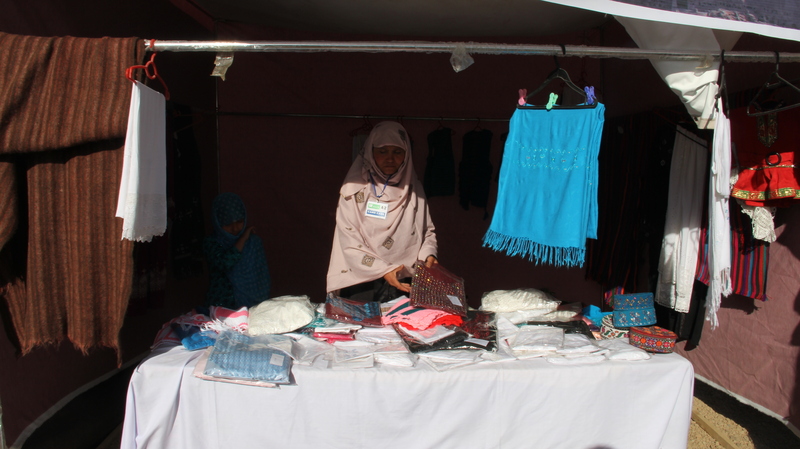 Despite severe poverty in the rural areas of Bamyan, it was really memorable for us seeing smiling people around, working together and helping each other in a very peaceful atmosphere. There is no fear of insecurity, explosions and suicide attacks, children run to attend their classes and women live in thirst of learning and studying. 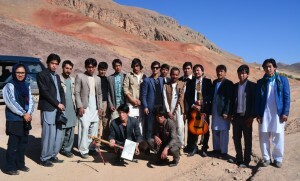 Peace, education and hard work are three main factors that constitute the modern identity of Bamyan. A local singer in Panjab district, Mr Golistani Talash helped us to meet more than 20 people including local musicians, poets, writers, painters and calligraphers in an open place among the juniper trees. At the beginning of the meeting, Mr.Farahmand introduced Ipso, its cultural containers’ project and its efforts toward cultural development through initiatives such as cultural dialogues, cultural exchange and discovering, supporting and providing opportunities for potential talents in the context of art, music and literature. Their response was exciting! 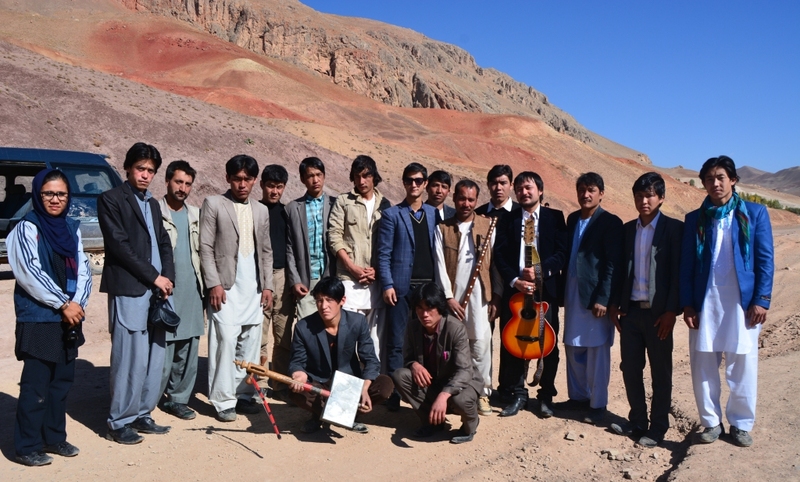 One of them said that they are very happy since it is the first time that a team came to explore the situation of art, literature, handicraft and local entrepreneurship in rural areas of Bamyan and to talk with artists, cultural figures, and potential talents and added: “Our culture is our identity, we really thank you and warmly appreciate your efforts and initiatives.” Our dialogue continued on many different issues and ended with the echoes of a Dumbora (Local Tambour), Ghichak, flute and the voice of singers reflecting around the mountains of the valley. Soon after our stay in Panjab, we were on the way to Waras district. 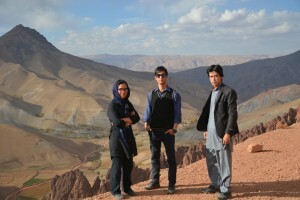 Waras is located in the border area between Bamyan and Daikundi. As we were getting closer to the capital town of the district, we felt colder and saw mountainous covered with snow. 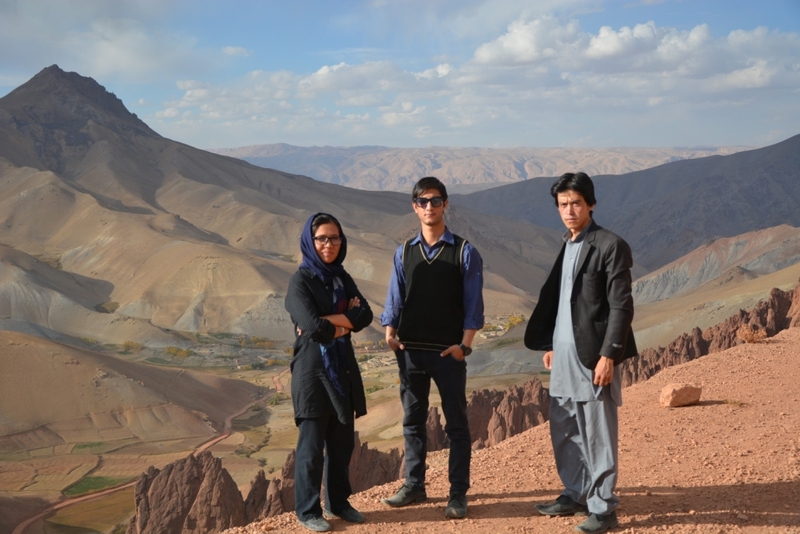 This area is one of the coldest districts of Bamyan. During the midwinter, temperatures in Waras go down to -20 degrees Celsius. Livestock and agriculture is the main way of livelihood in Waras district. 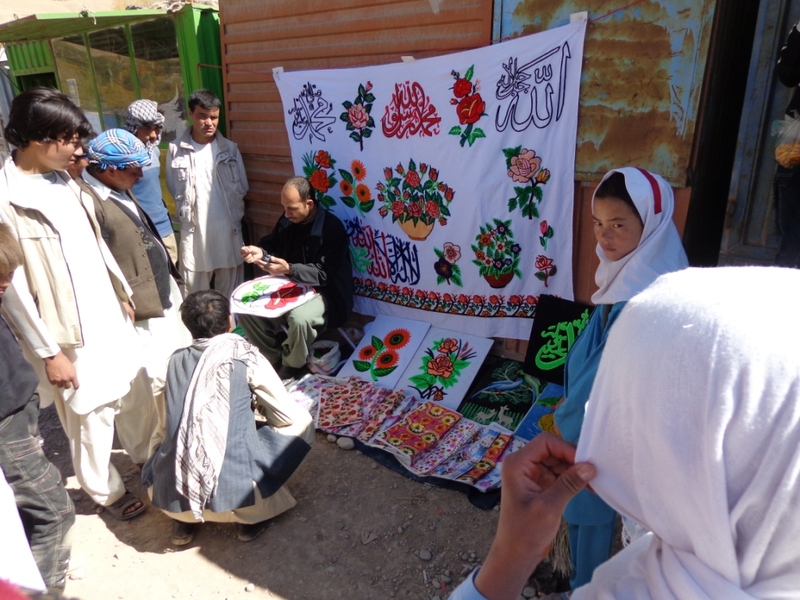 Due to the mountainous region we had no big meeting but single talks with many local musicians, sketchers, calligraphers and craftsmen on culture, arts and handicrafts. The situation of art, folkloric literature and cultural activities suffers in Waras due to severe poverty and a high level of migration. 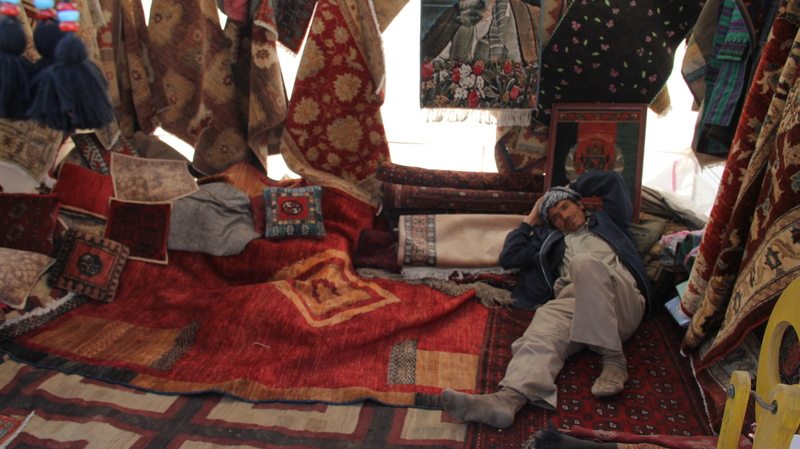 In the rural area of Bamyan, people normally live through selling their livestock, agricultural products and wool-crafts like Hazaragi Barak, felt, dhurrie rugs and embroidered Hazaragi traditional cloths which are very famous and liked in all around of the county. Hazaragi Barak is one of the most expensive and high-graded handicrafts in Afghanistan after Afghani hand-woven carpets. The meter price of Barak is around 4000 Afghani ($65) on the market and to buy a hand-embroidered traditional Hazaragi dress, one most pay around 10000-18000 Afghani ($157-$250) to provide it due to the long drought in the central highlands and the reduction in local livestock the production of high quality wool went down and that caused a sharp decline of local crafts production. However innovating incentive programs and creating markets for local handcrafts have a positive impact and might reverse this development. Folkloric literature, the oral transmission of folkloric stories and poetries are declining. There are many reasons such as the lack of time and use of technology, migration of the young and the dying out of the old generation. There are many talented people with very high potentials, which could become good artist or cultural figures for their region. Ipso’s cultural container will continue its activities and will try to reach more people in remote areas, to revive the declining old customs and cultures, local handicrafts, folkloric music, literature and arts.